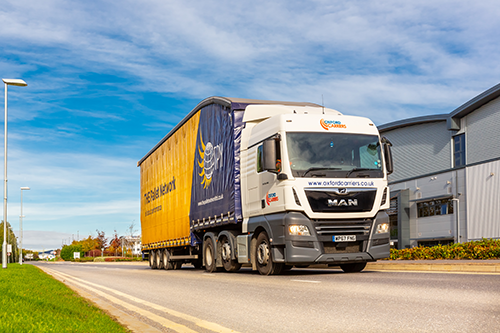 At Oxford Carriers we offer complete transport solutions and can fulfil your logistics needs throughout the UK, through full load services, part loads, pallet network services, or groupage and consolidated loads. Our fleet of fully tracked vehicles ranges from 3.5-tonne, for small and hard-to-access deliveries, right through to 44-tonne artics with double-deck trailers. Rigid vehicles come with tail lift as standard and all your deliveries can be tracked and traced through our web portal. For general haulage enquiries please contact our customer services team at ops@oxfordcarriers.co.uk or call 01865 880029.